HONG KONG – FIBA’s first-ever Mid-Term Congress, which is bringing together representatives from 139 National Federations, on Thursday unanimously ratified the FIBA Central Board’s decision for a new rule that will allow players to wear headgear. It was developed in a way that minimizes the risk of injuries as well as preserve consistency of the color of the uniform. It will come into effect as of 1 October 2017. – it has no parts extruding from its surface. 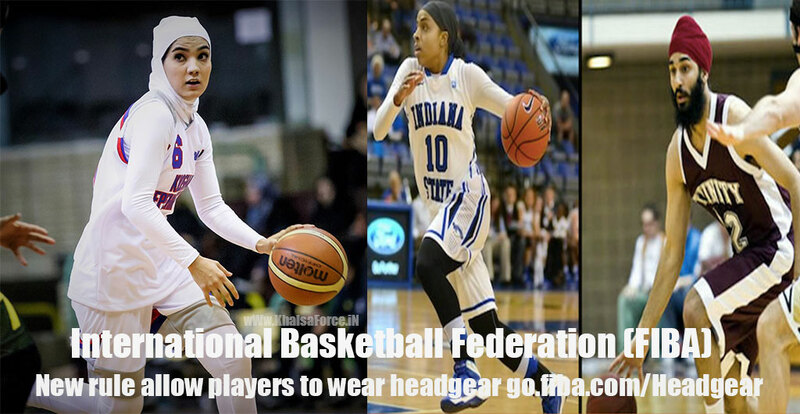 The new rule comes as a result of the fact that traditional dress codes in some countries – which called for the head and/or entire body being covered – were incompatible with FIBA’s previous headgear rule. FIBA initiated a revision process of its headgear rule in September 2014, with exceptions being granted at national level as part of a two-year testing period. This past January, the Central Board received a report and, upon reviewing it, approved for the rule to be modified. It issued a mandate to its Technical Commission to come up with a proposal and this was approved by the Central Board on Wednesday. Within that context, the Mid-Term Congress praised a historical moment that occurred in Iran on April 13, when a FIBA test game featuring women wearing hijabs marked the first time men witnessed a women’s sporting event in person. FIBA (fiba.com) – the world governing body for basketball – is an independent association formed by 213 National Basketball Federations throughout the world. It is recognised as the sole competent authority in basketball by the International Olympic Committee (IOC). For almost four years, Bilqis Abdul-Qaadir has been sidelined from doing what she loves most: playing basketball. 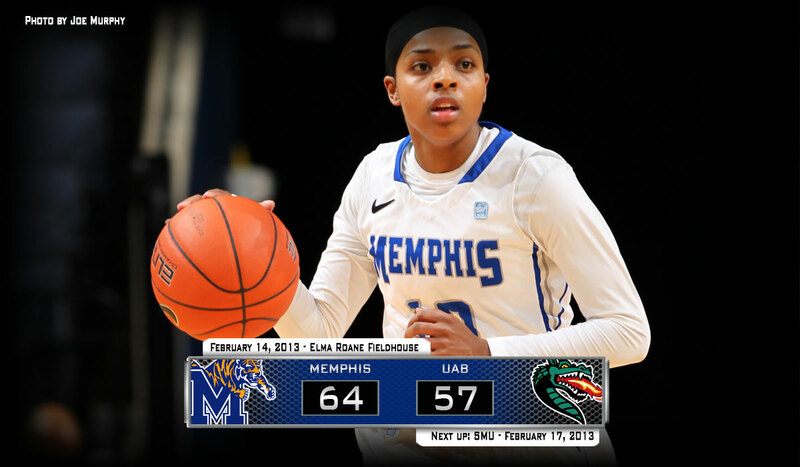 A 5’5″ point guard powerhouse from Springfield, Massachusetts, she holds the scoring record for high school players—male or female—in the state and went on to a successful college career at Indiana State and the University of Memphis. After graduating, she wanted to turn pro and play in Europe, but Abdul-Qaadir was unable to pursue this dream—not because of anything to do with her talent but because of her religious practice. 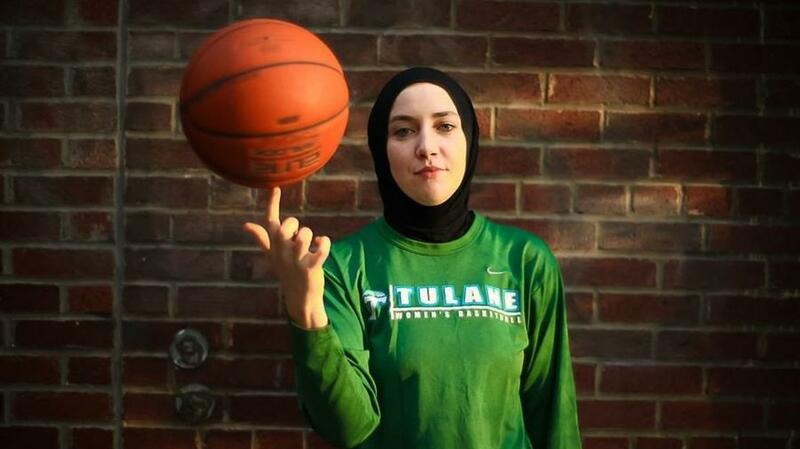 As a Muslim woman in hijab, she would have violated the uniform rule implemented by the International Basketball Federation, or FIBA, which prohibited players from wearing headcoverings on the court. FIBA’s ban extended to professionals leagues all over the world, and left countless players, including Muslim women in hijab like Abdul-Qaadir, Sikh men in turbans, and Jewish men in kippot, without options and without an opportunity to play. On Tuesday, after years of campaigning by athletes like Abdul-Qaadir, FIBA announced that it had ratified changes to the policy that had excluded so many from their sport. As of October 1, 2017, players will finally be allowed to wear headgear. “I have never been so happy in my life,” Asma Elbadawi, a Sudanese-British basketball player and poet, wrote in an email to VICE Sports. She is currently playing in a league in England and happily reported that she has no plans to stop anytime soon. Although there is cause for celebration, important questions remain for players and for officials at basketball’s highest levels. Where do players go from here? And more importantly, why did they have to endure being ripped from the sport they love in the first place? as stated in Article 4.2.2 of the rulebook, as a “safety” precaution, despite there being no evidence of a headcover hurting a player during games. It was never a problem for Abdul-Qaadir in the NCAA—her team manager carried a waiver and an affidavit declaring that she wore hijab for religious reasons, and that was that. In the fall of 2014, FIBA announced a two-year trial period for allowing players to wear headcoverings in national competition, but it was far from clear about how the issue would ultimately be resolved. When I first wrote about FIBA’s ban for VICE Sports around this time, it was a high point of frustration for many players, but they became that much more determined to work for change. Abdul-Qaadir joined forces with another former NCAA Division I player Indira Kaljo, a Bosnian-American, and more than 20 other women to create a social-media campaign called #FibaAllowHijab. Their Change.org petition, addressed to FIBA president Horacio Muratore and calleing for a permanent end to the ban, amassed more than 130,000 signatures. Kaljo and Abdul-Qaadir also dedicated themselves to teaching and coaching young girls. Although they were benched from play, they are active in using basketball as a vehicle to make change. Each woman started a nonprofit organization to use sports to empower young women and girls, called Global Aktivne and Muslim Girls Hoop Too, respectively. And they worked and waited for FIBA’s decision. That decision was supposed to arrive last August, but to the disappointment of many, FIBA postponed it until January 2017. At the end of January 2017, minor changes were announced but again FIBA punted making a final decision; there was the promise of something more concrete in May. The players were made to wait again. When I spoke to Abdul-Qaadir after FIBA’s announcement, she was understandably exhausted and relieved. But it would be unrealistic not to expect that the players, coaches, and supporters would be feeling complex emotions. In addition to being dedicated athletes, they had to be advocates for their own inclusion. This work is physically taxing and emotionally draining, especially for those from already marginalized communities. I know firsthand, as a soccer player in hajib who watched FIFA announced a similar policy change in 2014 after an extensive lobbying campaign. And yet so many athletes across so many sports have had to do just that. Although she is happy for the outcome in FIBA’s case, Akhtar remains critical of the process and how it unfolded. “I think the ban in the first place was wholly unnecessary,” she said in a phone interview. “As an industry, what we tend do is ban and then think about it afterwards. We act first then think about it later.” She is adamant that we should have learned from what FIFA did three years ago, when it formally rescinded its headcovering ban. We have already seen the benefits of a more inclusive, more beautiful game. Akhtar believes that this collective effort—of grassroots organizations, athletes, and administrators, and of Sikh and Muslim communities coming together—is a model of how change is made in sports. She tells me that there is a need for “people of faith in those decision-making spaces.” Diversity and representation at the highest levels of sport are crucial in order for sports to flourish in an inclusive manner and to reach their fullest impact. We are not there yet, and until we are, Akhtar will continue working to educate sports federations on the importance of headgear and of welcoming, not discriminating against, athletes from faith-based communities. But in terms of politics and policy, Akhtar knows this is a huge win. And it is a win that will be received with joy and trepidation. Athletes who were prevented from professional careers now have decisions to make. For Abdul-Qaadir or Kaljo, it is too early to say whether they will try to turn pro now that they finally have the opportunity; years have passed, and both women have moved forward with their lives.